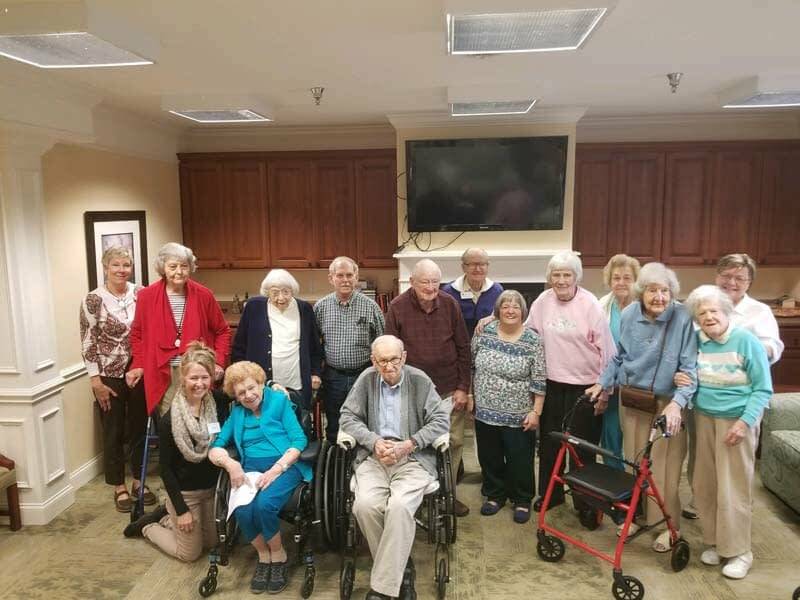 Each month, the therapists of HealthPRO/Heritage provide an in-service training session to teach the residents of Morning Pointe of Lenoir City (TN) how to stay active and healthy. This month’s in-service was titled “Get a Grip” and hosted by occupational therapist Ann Stewart. During the session, the assisted living community’s residents were able to test their hand strength and learned ways to help improve that strength. “HealthPRO/Heritage provides our residents with so much more than a therapy session!” says Camie Entrekin, the Life Enrichment Director at Morning Pointe of Lenoir City. On-site physical, occupational, and speech therapy services are provided now at many Morning Pointe assisted living, personal care, and Alzheimer’s memory care communities through both an outpatient therapy clinic and home health visits inside the building. To learn more about the therapy services offered at Morning Pointe Senior Living communities, visit https://morningpointe.com/therapy-programs/.